...to my learning room window. 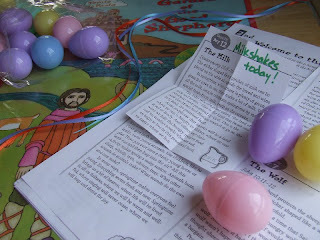 A while ago, Dawn mentioned an idea she had to celebrate the 50 days of Easter. If you missed it, here it is. Dawn always has these amazing ideas to really make each day festive especially during our wonderful liturgical seasons. Well, this idea wouldn't let go of me; maybe it had something to do with the fact that our Lent didn't go anything like what I planned. 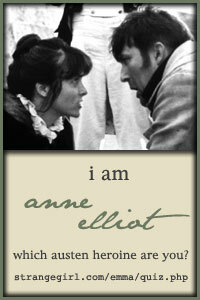 Our plans were hijacked one right after another and I had to relinquish control rather quickly of "my Lent". So, the idea of finding even a small way to celebrate every day leading up to Pentecost appealed to me. Now, I can't say for sure what Dawn had in mind (I hope she shows us) but this is what I LOVE about the Internet. Someone can share an idea, a picture or a few words and someone else uses their imagination to make it come alive for them. This idea is actually double Dawn inspired. I am using the Garden of the Good Shepherd sticker calendar that Dawn posted about on the forum when they were on sale for a ridiculously low price (hey, they still are!) as our daily inspiration. We love all things Tomie dePaola and I was very impressed with how well done this calendar is! It came with a booklet and each day has a little thought to go along with the symbol. I photocopied them, cut them out and then added a small something to each one. Some of the activities involve reading books, taking a trip, or a special treat. The pieces of paper are folded up inside the eggs in order waiting to be opened each day. Now, while it is true that I couldn't have done this project without Dawn's inspiration, I also couldn't have done it without Husband who drilled 50 tiny little holes for me, threaded over half the ribbons and helped me come up with most of the activities in order to have this idea go from thought to reality in a few hours this afternoon. I am really excited to begin. Maybe these plans will actually become reality! Here's hoping! Somehow I missed this! I'm absolutely inspired...I have way too many plastic eggs, and this will be just the thing to pull our focus towards the Feast of Pentecost. Thanks for posting this! I love Dawn's plans. I used her Advent ideas, but tackling the Easter one was too daunting. This is definitely something to put in my folder for next Easter. Oh, and LOVE the idea of putting in Tomie's stuff. We purchased several of them (couldn't beat the low price!). 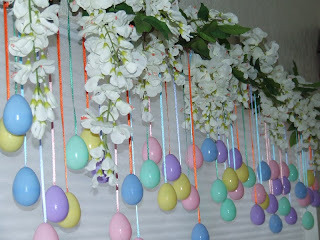 Your Easter garland is absolutely beautiful!! I hope it brings your family much joy this Easter season. :) I love the idea of incorporating the calendar - that makes perfect sense! Enjoy, and Happy Easter Monday! Matilda, that is awesome! I LOVE it. This one is definitely getting filed away for next year! I hadn't yet seen Dawn's post, but she is always such a lovely source of inspiration, isn't she? 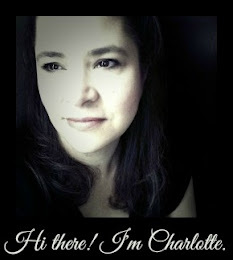 And I haven't yet thanked you for the many kind comments you've left on my blog. Your BigBoy gave me the greatest laugh with his comment about our "sleepy blueberry"! Thanks so much for the prayers, and for checking in. P.S. Hope you all are feeling much better! We area ll feeling much better now although there is a very regular cough and sputter sound going on around here. If we hadn't been ill, I probably would have opened the package that contained the calendar before yesterday and might have put together the two ideas (egg garland and countdown calendar) before Easter. Once I did, it really only took a few hours to put together. I did have all the materials already gathered though. I love it. So festive and cheerful. I've always had a hard time feeling like easter really lasts until Pentecost. What a great way of making it a bit more concrete. Filing it away for future Easters. How lovely! Matilda, this is wonderful to see, so cheery and so festive. Nothing but happy hearts can reign in your home when viewing this terrific reminder of the 'reason for the season'. Thank you for sharing! Ha, We're doing this too, although yours is looking quite lovley. I'm stuffing my eggs every morning! I love yours above the window, it's glorious! Happiest Easter to you all! This is so great!! I love it!! Wow, that looks wonderful. I wish I had the time and/or energy to do that. Maybe that's something I'll have to put on the to do list for next year. Especially considering I had a ton of plastic eggs left over. It would be nice to be able to use them more than once. What a beautiful project. First Congrats on being pregnant! How exciting. 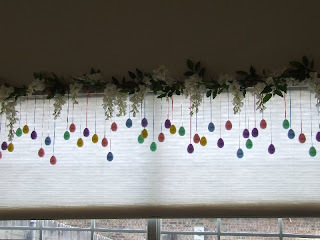 Can't wait to create this Egg valance next year - sure to be a real hit.